Pittwater Online News continues this week with a focus on the summer art exhibition Artspot, opening at Avalon Recreation Centre next Friday 4th January and continuing January 5th to January 13th. 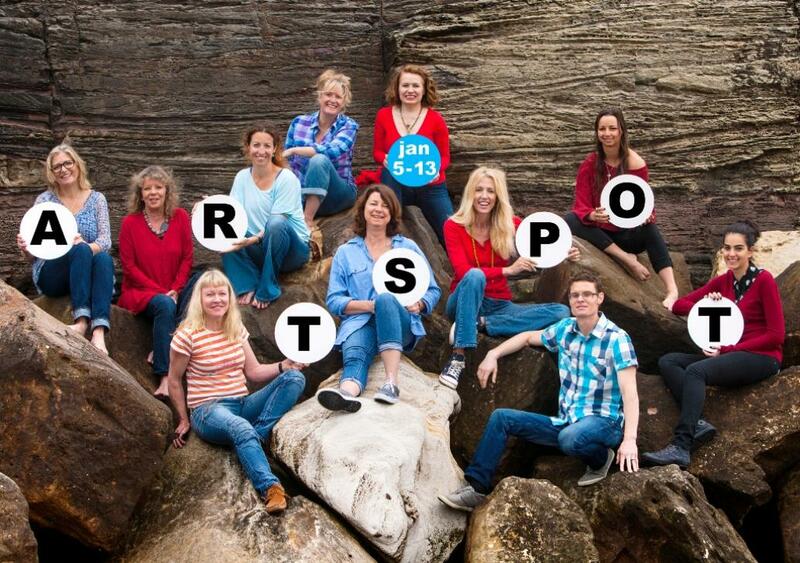 Artspot invites all the Pittwater Online News readers to come along and enjoy the art exhibition and show. This week we focus on Artspots’ charity initiative. Sixteen of the artists have created 12” round artworks, which will be available via silent auction raising monies for local Avalon gardener Michael Symons’ almost 10 year old charity group called Cobra and Mongoose (www.cobraandmongoosecharitygroup.com.au ). Having positively affected the lives of over 1,000 poor districts, Cobra and Mongoose will be using 100% of the Artspot monies raised towards a special project which is building hostels for children matriculating from primary to high school in the remote region of Bandarban. Michael was introduced to us by one of our artists Christine Mackinnon who shares that she met Michael some 12 years ago when first moving to Palm Beach and hiring him as her gardener. Through her community links including local Pilates classes she actively participated in the annual raffle to raise funds for the Cobra and Mongoose charity. She is inspired by his work in India, Bangladesh and Sri Lanka – from providing women with lessons in machine sewing and work, primary schools for children in isolated villages and teaching for children working in the handmade brick factories. She travelled to see some of the work being done by Michael in 2010 and the difference that his charity has made to so many lives. Christine suggested this charity for Artspot’s first exhibition due to it being a small locally driven charity where all the funds go directly to the project. By participating in Artspot's silent auction, 100% goes to the hostel building in Kote. Michael shares that the “trips always put into perspective how lucky we are living in Australia”.